This one bedroom, one and one-half bath sleeps six with a king-size bed, queen-size sleeper sofa, bunk beds in the hallway all new 20 by 20 Italian tile floors, all new Flat Screen Tv's with over 100 channnels & Wifi!! 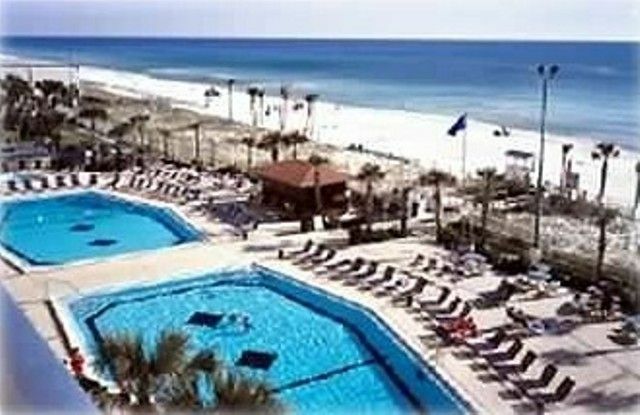 Two Phones, Two TVs, Central Air Conditioning, Two Kiddie Pools, Two Pools, Picnic Area, Barbecue Grills, Tiki Bar, Snack Bar, Convenience Store, Hair Salon, Arcade, 24-Hour Security, Washer & dryer facility onsite, No smoking please!! Amusement & Water Park, Go-Cart Rides, Waverunners, Super Wal-Mart, It Is All Here!